Experience the North West with the city's friendly and reliable taxi company. We have a dedicated team of operators and drivers on-call 24 hours a day, seven days a week. 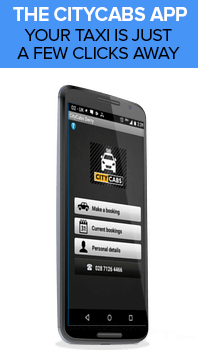 City Cabs have become one of the very first WorldHost recognised businesses in Northern Ireland, confirming our commitment to excellent customer service. Our experienced team guarantee a fast and professional service at all times. We are the Official Taxi Service for City of Derry Airport and strategic partners of the Derry Visitor & Convention Bureau. We are Investors in People accredited. The App is brilliant & so helpful especially when i have no credit in my phone to phone a taxi. It is easy to use & i feel it helps me get a taxi quickly. The taxi service of city cabs is brilliant i always feel safe & content when heading home. Thank you. My aunt and I took a cab tour around Derry with Aidan and he was absolutely wonderful. We went around 11am for an hour and we learned so much ! He explained everything about religious matters, Bloody Sunday, hunger strikes, the murals, and so much more. He always made sure to give us enough time for pictures and always answered our questions. I recommend him to anyone who is looking for a great tour around Derry with a respectful, knowledgeable, and kind-hearted person. Just back from our first visit to Londonderry and want to let you know how much we enjoyed our tour. Martin our driver was a great guide - very friendly, well informed and eager for us to share in the history and plans for the future of the Maiden City. Just a quick note to say thank you for the cars you supplied for our trip last week. My colleagues were very complimentary about the driver they had and everything went to plan. We’ll certainly use you again when we’re in town. Thank you for arranging the airport transits while in Derry. Everything was perfect and John the driver was very pleasant and professional. I will of course be using your service again and recommending you to friends and colleagues. Really, the service was fantastic, I can honestly say I have never enjoyed travelling in taxi's so much. So can you say thank you to both Kieran & Gerry (picked up/ dropped off) who were basically both wonderful people. Derry’s rich historical and cultural heritage has provided the city with a multitude of attractions and places of interest, with something for everyone to enjoy. Being a strategic partner of the Derry Visitor and Convention Bureau, our knowledgeable and friendly drivers take pride in showing you the sights and sounds of the City. Book a taxi with us today and let us show you the way. The first of its kind in Ireland, the Bureau promotes the city and its hinterland as a tourist and conference destination as well as providing a complete package of visitor services. Whether it's information on events, golf courses, shopping, visitor attractions, accommodation contacts and suggested itineraries, Visit Derry delivers. One of Europe’s great city experiences, on the doorstep of a stunningly beautiful natural world, you’ll surprise yourself in Derry~Londonderry. A sense of fun, an energy that ripples through the city; an easy warmth and a gift for engaging with people that soon turns strangers into friends. Let us take you on an amazing journey through our world renowned historical city. Famous for being the 'ONLY' walled city in Ireland.the strategic epicenter for 2 world wars,the crucible of the northern Ireland troubles and the template for modern day conflict Resolution.